are offered in Luxury, Standard, and Handicap units. All restrooms are offered year round to suit a small party or large event and can be rented for any duration. All restrooms are stored at an indoor facility, and are guaranteed exceptionally clean. Please call if you have any questions about our available restrooms. We are happy to help and suit your needs. 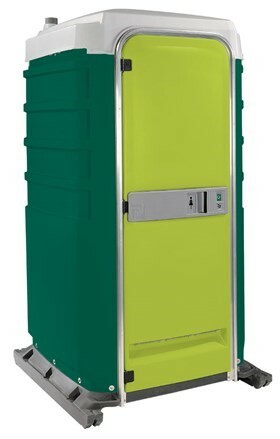 Allow our luxury porta-potty to please your guests and suit your next event. Accompanied with fresh water flush system, sink, trash bin, mirror, courtesy shelf and coat hook. Our additional interior lighting provides easy use for night time events. Restroom has 24% more interior room space than our standard unit. No urinal is included. Exterior locking available. our standard restroom is a more basic model accompanied with urinal, hand sanitizer, mirror, and two roll paper dispenser. A very spacious and clean unit. 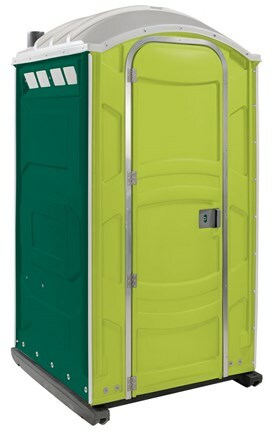 This unit is our most spacious restroom. It is wheelchair accessible and provides hand rails for occupants. Contains two roll paper dispenser, and hand sanitizer. Also convenient for those who have children, or would just like a spacious porta-potty. No urinal included. Guaranteed to provide easy access and comfort.